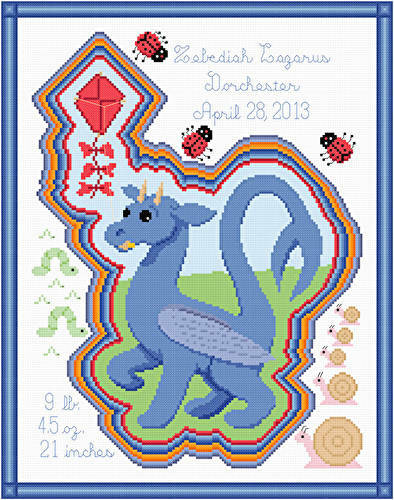 Spring Dragon Baby Announcement cross stitch pattern... This dragon represents spring by flying a kite. It is surrounded by snails, inch worms, and lady bugs. Spaces are indicated for birth announcement information. Colors may be changed. Whole and back stitches.